Growing up, for one of those Independence Day essay writing competition, I had to memorize Nehru’s ‘Tryst with destiny’ speech and that speech has stayed with me to-date. Every year during India’s Independence Day, I invariably get to read about this speech in some article, news or blog post and learn something new about the speech. ‘Tryst with destiny’ speech was delivered by Jawaharlal Nehru the first Prime Minister of India on the eve of India’s Independence. This speech is considered as one of the greatest speeches of the 20th Century. Ever since my brother-in-law gifted me the book – Speeches that changed the world, I have become a speech buff and in the context of many other speeches I have read, I am able to appreciate the elegance, beauty and honesty of Nehru’s speech. This is a timeless speech and captures the ethos and core values of the Indian populace. It is very enriching to reflect on this speech 69 years after it was delivered. Here are my top 3 favorite sections of the speech. 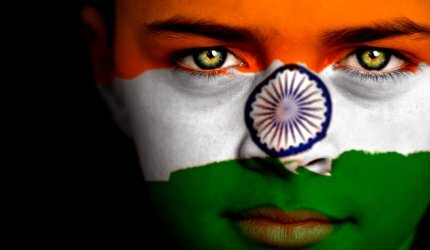 Happy Independence Day India! Jai Hind!!! The struggle, the ambition, the hope continues.